The meetup is organized by ProdOps, a team of software operations architects who consult on infrastructure automation and workflow improvement. We are hosting Ryan Blunden who is coming for visit from Australia. Docker makes it easy to use and consume existing Docker images. But what if you're interested in getting started with building your own custom image? How do you know where to start? 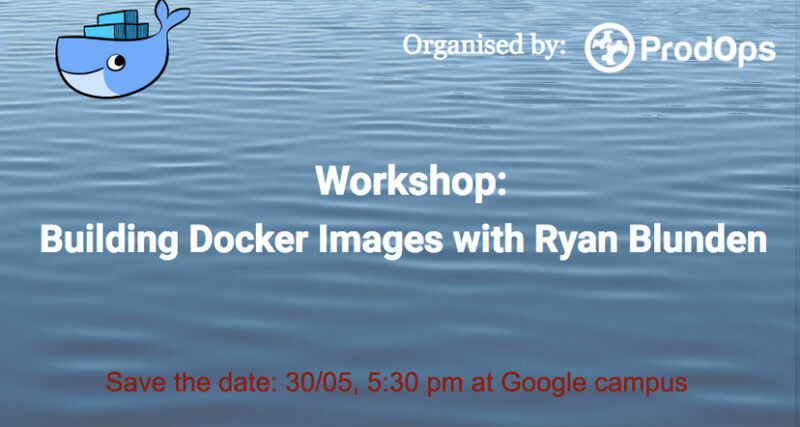 In this 2 hour workshop, Ryan will take you through what is involved for building beginner, intermediate and advanced level Docker images, showing you the best practices for Dockerfile design, checking and testing through building a locally executable pipeline. Capitalising on 15 years of all manner of front and back-end development, from Melbourne to Silicon Valley, his mission has now changed from coding and consulting to education, both in the classroom and online. His new mission is to help companies cut through the hype, and buzz-words surrounding DevOps and Cloud Infrastructure management in order to know how to to take advantage of the genuinely valuable innovation, emerging best practices, tools and systems that can increase productivity and reliability at scale. In short, helping teams and organisations make sense of the Cloud, Containers and DevOps landscape so they can deliver on their promises.